After coming a few times for lunch I&apos;m Happy to say my first Dinner experience at Hardy Park Bistro was a success. From the moment you walk up and are warmly greeted at the casual (yet sophisticated) dining house, you know you&apos;re in for a culinary treat. 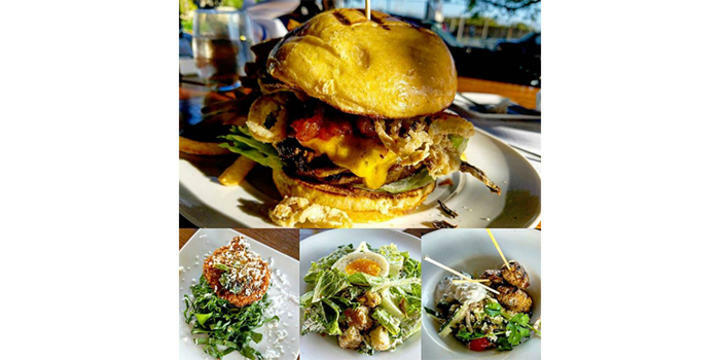 With 20 plus years of experience, Chef Philip and his wife opened Hardy Park Bistro 8 months ago in Downtown Ft Lauderdale. They pride themselves on having a small menu that evolves every week to showcase what is in season and what suits our warm climate. We Started with the Crispy Bacon and Egg Caesar Salad (Bottom Middle), & Lamb Kofta with Cous Cous, Yoghurt & Mint (Bottom Right). Before they brought the HPB Burger we were treated to a Spinach Croquette from Chef Philip (Bottom Left) which was a pleasant surprise & different from the traditional Croquette I&apos;m used to. And can&apos;t forget the HPB Burger (Hardy Park Bistro) with Cheddar, Crisp Onion, and Tomato Chutney. Chef Philip and the Crew have a really great thing going on as they&apos;ve become one of my favorite local spots (Off of Andrews & 7th) recently. If you haven&apos;t been yet you should definitely add them to your Bookmark List!